Access a market-leading range of doors, windows, conservatories and more when you choose Novaseal. Our double glazing is made by the best manufacturers, and we pride ourselves on delivering industry levels of service to match. We have the capacity to respond to projects of almost any scale quickly and without compromising on the quality of our service. Our dedicated manufacturing plant enables us to make many of our products in-house using our state-of-the-art-equipment. Although our products are sourced from leading manufacturers, we’ll help you find the right match at a price that you can afford. Novaseal has been helping customers in Southampton, Portsmouth, West Sussex, Chichester, New Forest, Southampton and the Hampshire areas with their double glazing requirements for two decades. We have the knowledge and experience to make your home improvement project a success. We take care to ensure our stock levels are high, so we can meet the demands of our trade customers and homeowners who want to buy from us directly. Novaseal invests continually in its equipment; 70% of the machinery we use is brand new and enables us to meet customer demand. In the last two decades, we’ve produced 54,000 frames for our homeowner and trade customers. We’ve achieved this volume without compromising on quality and by continually investing in our equipment and our people. Although we can work to scale, we take time to build relationships with our customers. We’re never too busy to talk, and the owner of our business is always accessible, often working our trade counter during busier times. We’re proud of the fact that people want to work here. Novaseal trains develops and rewards the people that help make it so successful, which is probably why the average employee has been part of our team for eight years. By retaining our staff, we’re able to help our customers. The teams that work in our manufacturing facility, behind our trade counter, and elsewhere, have the knowledge and experience needed to make our business successful. Novaseal manufactures and supplies many double-glazing products and ancillary items for its customers. Because of this, they can access our range of doors, windows, conservatories and anything else they need. Our expansive range – coupled together with our in-house manufacturing facility and ability to respond to scale – means that you won’t be disappointed when you choose us for your project and will only need one point of contact. We only work with leading manufacturers. 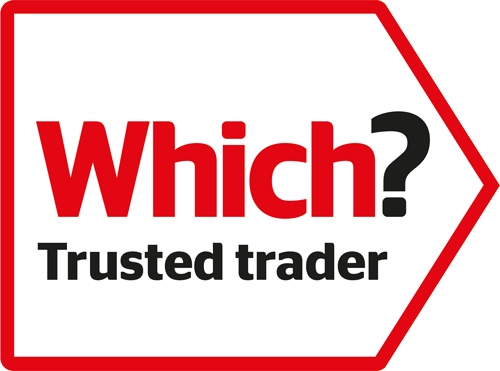 This means we can deliver products that meet the high standards our trade and homeowner customers expect and deserve. Your purchase will include a manufacturers’ guarantee for your peace of mind. Our commitment to manufacturing and supplying the best products, while providing the best levels of service, means that customers often seek us out based on our reputation. Contact us for further information or a quote – or use our design tool to create prices for any of our products and as many times as you want. Novaseal belongs to the Which? Trusted Trader scheme. To achieve this membership we had to pass an assessment process – and must prove our competence on an ongoing basis to retain our accreditation. Not every trader is able to meet the standards required by this process, which enables our customers to buy from us with confidence. To meet the requirements of the Certass certification scheme, Novaseal has to meet the standards defined by EN17065 and the requirements of other recognised bodies, like Trustmark, PAS2030 and DCLG. To retain the Certass logo on its website, Novaseal must agree to be assessed every year – enabling our customers to approach us with peace of mind.